Members of the Rotary Club of Birmingham have been working to transform a vacant railroad cut into a four-block pathway. The idea began as a way to celebrate the club’s 100th anniversary, and became a way to make their city a more beautiful, usable, and community friendly place. 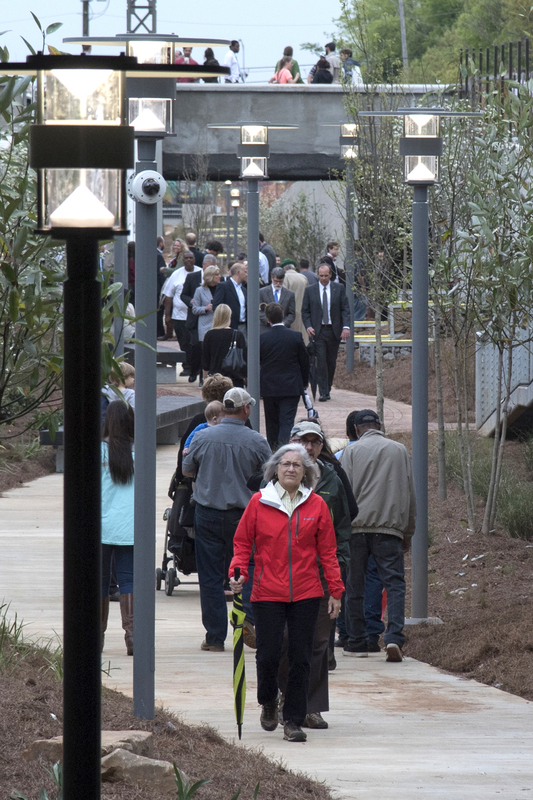 The Rotary Trail is intended to join Railroad Park and the Sloss Furnaces Historic landmark. 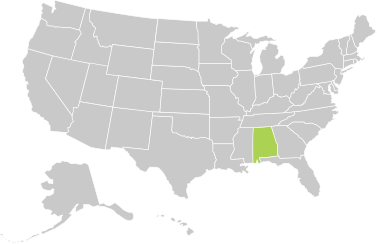 It has been designed as a link within a larger trail system – the Red Rock Ridge and Valley trail system, with plans to join other historic landmarks throughout Birmingham. 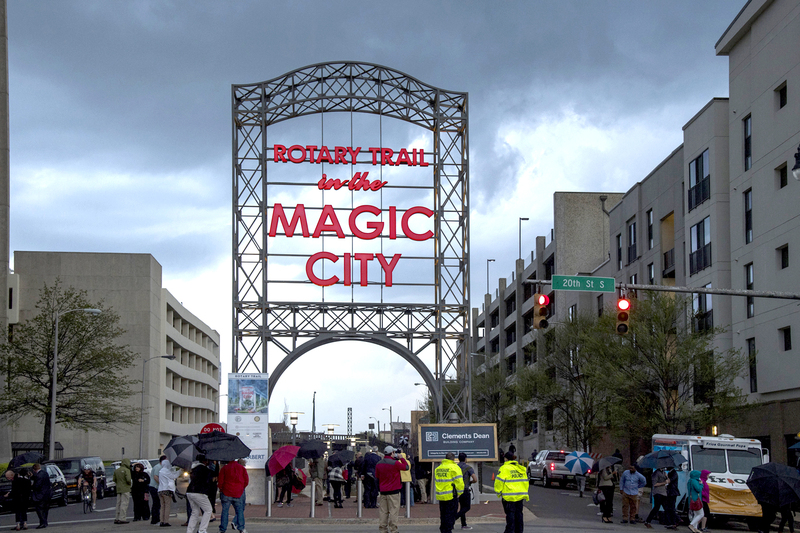 The entrance to the trail is marked by the Magic City sign that pays homage to the history of the city and former sign displayed at the terminal station. 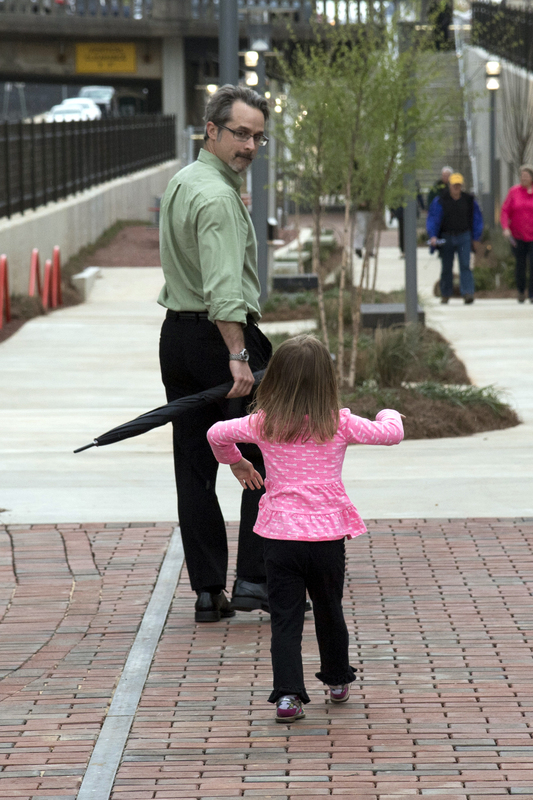 The trail includes a place for pedestrians to walk, run, and bike in the heart of Birmingham, as well as providing benches and solar charging stations. McKee Foods is excited to help provide Birmingham even more options to get outside and have fun as a community.